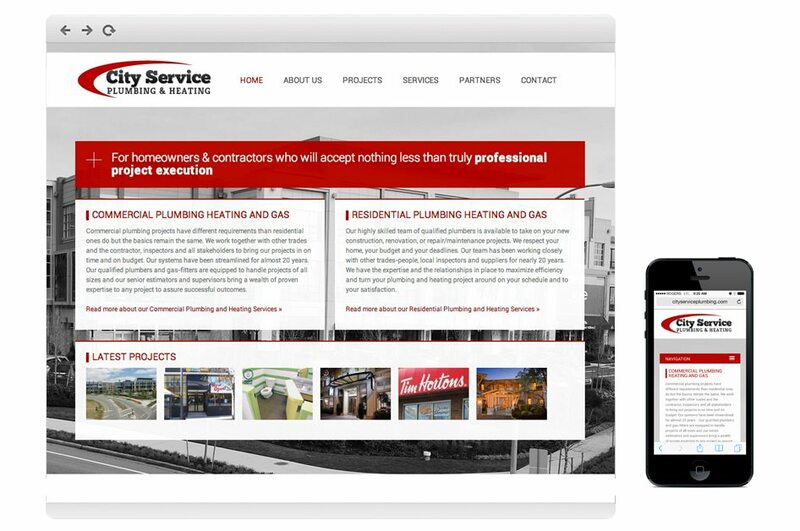 City Service Plumbing and Heating needed a website that could represent their professionalism, history and credibility within the local community. 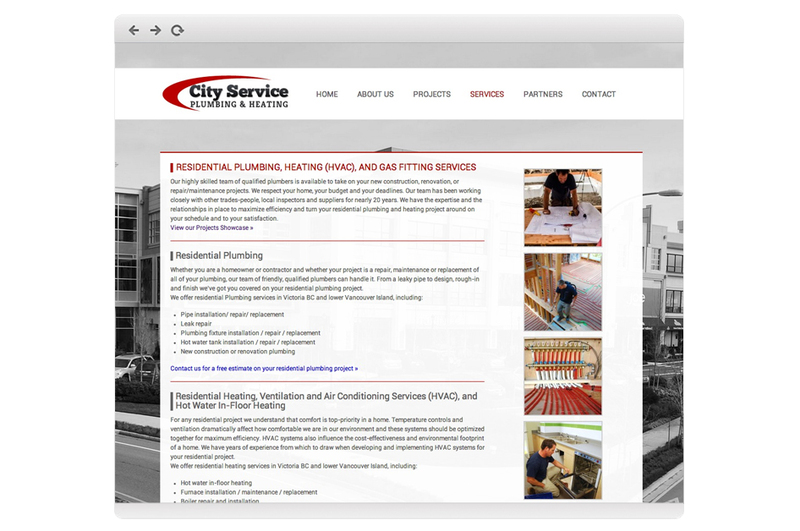 We worked with City Service to develop their core messaging and website copy as well as to design and build their website on the WordPress platform so that they could make updates themselves in the future. 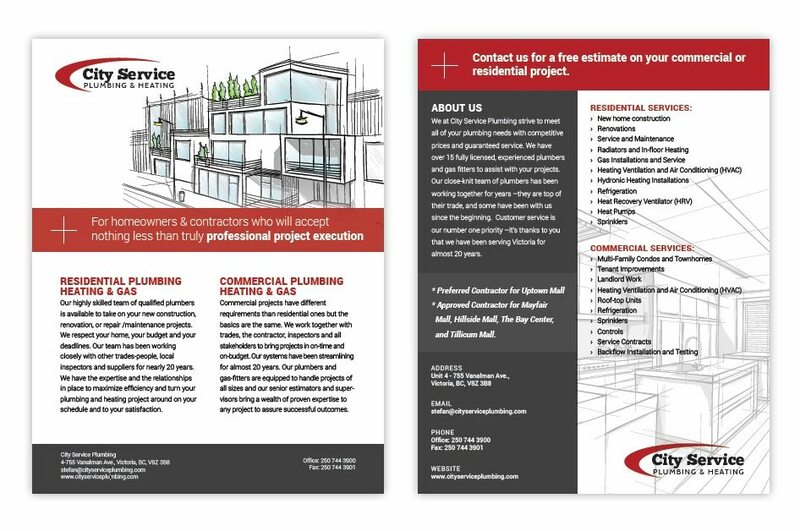 We also developed some marketing collateral for City Service. 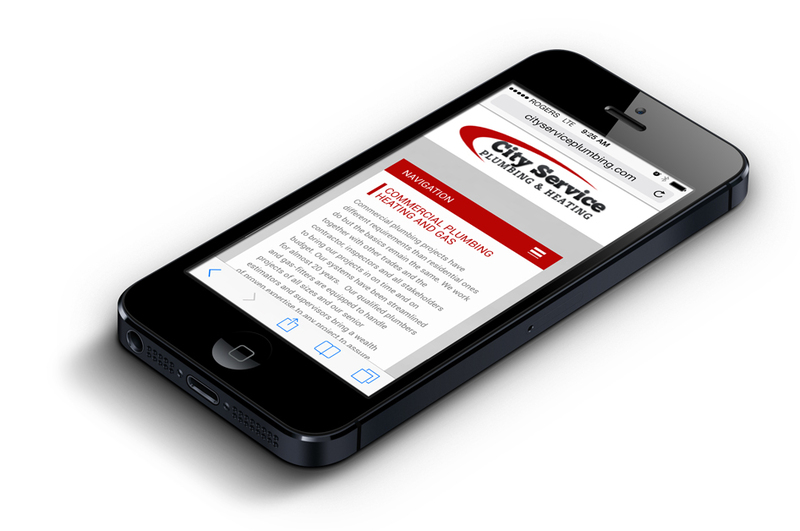 We wish all the best to City Service Plumbing and continued success! Identify the characteristics of desirable customers in the form of customer personas. Develop corporate messaging to showcase their value proposition and set them apart from their competitors. Create professional, search engine optimized website content. 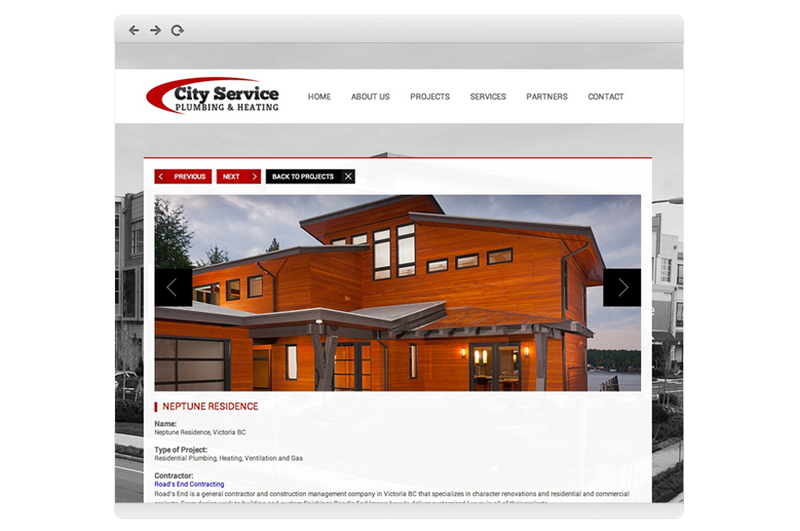 Create a credible website that would appeal to their commercial and residential clients and position them as leaders within the community. Build a modern, responsive website on the WordPress framework. Showcase their past work and their extensive local partner network. Set them up for future online marketing strategies.